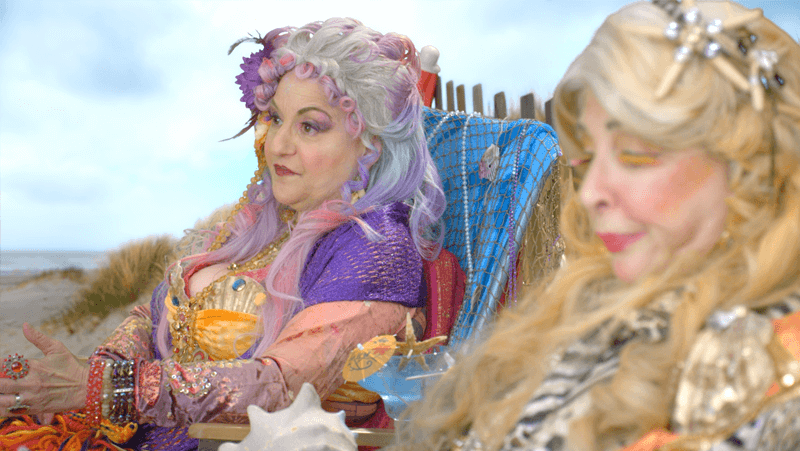 If you find yourself just off the Belt Pkwy in Canarsie, be sure to say hello to Rozzie & Sheila – aka the ‘Medicare Mermaids.’ You can always find them on their little island, just off the Brooklyn shore, kibitzing and kvetching about something or other… usually politics. They tackle big issues, like gun control, medical marijuana and even a Mermaid’s right to choose. They may be half bubby/half flounder, but Rozzie and Sheila are on top of the 2016 election – and if you ask them, the Democratic candidates are deep sea diving, while the Republicans are flopping around on the shore. Of course there are other issues that are very important for our Mermaids. Rozzie and Sheila are personally concerned about Climate Change, protecting Medicare, and they’ve even been involved with Octopi Wall Street.